When you want to add some style to your chefs’ uniforms, go for Alsco’s Catering Cutting Edge range. It complies to health and safety standards, but also satisfies even the pickiest New Zealand chefs who put style as their priority. 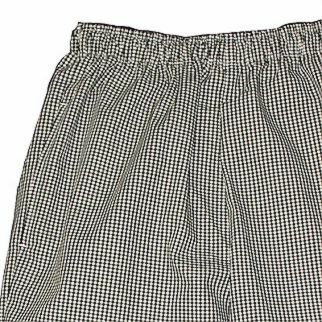 A traditional check trouser has conveniently placed pockets that don’t get in the way. One is on the back and two are side pockets. 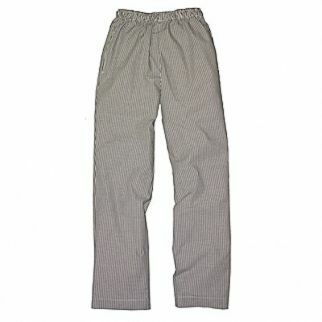 To make the trousers even more comfortable, they are made with elasticised waist with a drawstring.